And Alex was SO CLOSE to getting with the cute girl before they showed up too! We just found his motivation for taking up the fight, I guess. Do the umiak have a term for klik-blocking someone? And Beryl was SO CLOSE to getting it with that hunky alien before they showed up. Alex got saved by the gong, though. He didn't need to explain why he saw the other girl while literally being in Beryl's arms - well, close to that... Loroi customs or not, Beryl surely wouldn't like to hear that. Look at all those bug assets, asking for a wave loom. 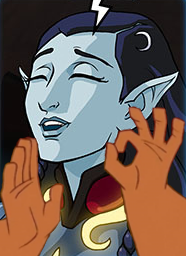 When the bug rain hits you just right. The Loroi commanders seem quite cheerful at the prospect of their impending death. Meh, gallows humor is a common coping mechanism in combat arms professions. Commanders should be mainly worried when their subordinates stop griping or joking entirely. That's a sign they are tapped out of both stamina and morale. The bugs are attacking the Leido Crossroads. They are also attacking Sala 128 and Sala 101. If the bugs are intending to break through to Enedd and the interior, the Leido and Sala 128 forces will be able to meet up at Enedd as it is the next jump from both systems. Sala 128 may also have a follow-on group coming through if it is going to stage a meet after eliminating Loroi forces there. I'd put money on Gora also being attacked, as if Gora, Leido, and Sala 128 are all taken, this will isolate the Azimol citadel and it can be attacked at the bugs leisure. Let’s hope the Loroi have the resources to deal with this.. 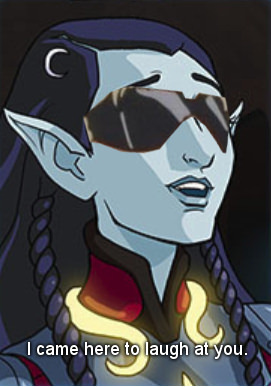 This laconic smack talking space elf is rapidly becoming my favourite background character. I'm quite curious about her quips over comms; she's SG51's senior captain, yet also is the least disciplined about keeping comms clear of chatter. Do Loroi not care so much about such things, or does Moonglow simply not give a damn? Kikitik-27 did say that they're about to witness the last stages of the Loroi-Umiak war. Looks like he was more spot on than we originally believed. Note that the invisible Umiak divisions are still not common knowledge. Even Beryl just struggled to wrap her mind around that concept and its implications. So yes, being presented with the full picture, the Loroi may stop joking around quickly enough. The idea of Earth being a bolthole for Loroi refugees could pop up again.... because nowhere else would be a 'safe' place anymore, with shells everywhere you look. Although Stillstorm dismissed Kikitik-27’s statements as a bunch of disappointing lies, I’d still expect that she relayed a full report of this unusual conversation back to Loroi HQ. There was clearly something brewing, it had already become clear that the Umiak deployed a new stealth type capability and corresponding tactics at Naam. Sure, though this is why I’d expect Loroi boffins and analysts already having chewed on this. They have had more than a week, perhaps slightly more, to anticipate worst case scenarios. Of that I am not sure of. Remember, communications in Outsiderverse is NOT instantaneous, but limited to the travel speed of their ships. If we expect SG51 to not to leisurely pace around but make good speed to Leido crossroads, the other party involved who might have brought forth news about Kikitik-27's statements could be Captain Mozin. And, who knows, maybe he and the Barsam have their own stakes in the game and are ready to hang the Loroi out to dry, just conveniently offering an escape route for the people on the marooned shuttle, mainly one Captain Jardin. You may be right, however from a storyline perspective we are looking over Alex’ shoulders and he has spent most of the time between the Battle at Naam and the trip in the Highland-7 in the brig. As a not fully trusted Outsider, the Loroi have had no reason to tell him what information has already been relayed and by what means. Information provided by Kikitik-27, although untrusted, still is quite crucial to report, including the fact that almost three entire strike groups were ambushed at Naam. Just saying. Kudos for Beryl's expression. It is just fitting for when she realizes that she has front row seats to what could very well turn out to be the beginnings of her species' demise. 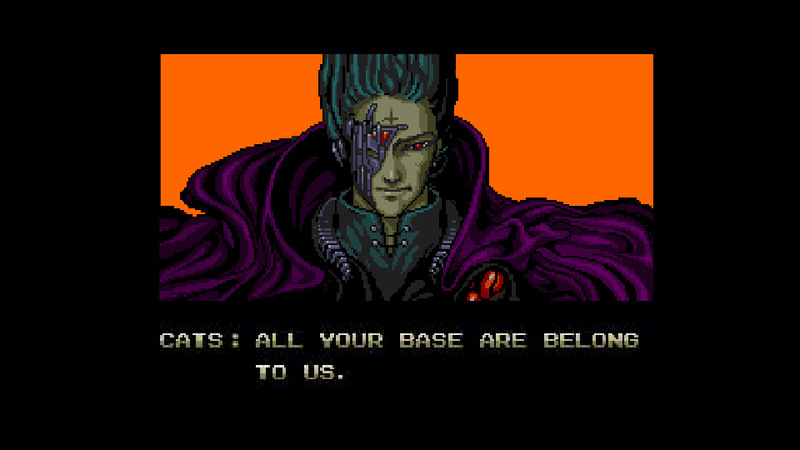 That’s unacceptable, We’re now all rooting for the genocidal elves (which was Umiak propaganda to begin with). Just wanted to add that info on new tactics and stealth will have been carried to Azimol by the Barsam courier vessel. "Do not think of it as being outnumbered. Think of it as having a wide selection of targets." Ehy aim the loom wave? Just shot somewhere to squish bugs! A little of both. The captains of Strike Group 51 are a little bit like von Richthofen's Flying Circus: they're the most successful among units doing the most dangerous and difficult duty, and while they are very competent and highly decorated, there are reasons behind why each one ended up in this position. The first reports of the ambush were sent back even before this, after the first day's fighting at Naam. But, as you can imagine, there is a lot of confusion as to what's going on. Arioch, do you have any more pictures of Moonglow looking smug? Asking for a friend. Were that a scene in an RTS game, one would say that the player on the Loroi side must have made some grievous mistakes even much earlier on to have it come to this. The Umiak sent in supply ships - so they surely have a stable supply line connecting Leido Crossroads and their controlled space. And even the shells would just be smart enough to mass their forces for a coordinated strike only if they're confident enough to punch through the Loroi defenses and start rampaging in inner Loroi space. Definitely looks much like the endgame. I think we're heading to the close of Chapter two and the final days of the Loroi Union as a whole, and Chapter three might start out with scattered Loroi holdouts starting a guerilla warfare. It's not that bad. The Loroi do have their own reserves built up. We're seeing a surprise attack but the Umiak haven't broken through yet. Well, they definitely think they can win this war or gain a significant advantage with this push. I'm not sold on them being the clear winners already. We know too little about them. Might also be that their economy can't stand the strain of their heavy losses for much longer, so they scrambled one last major offensive together. Like the fan favourites from WW1 after Russia capitulated. Does that work in space? "As the Loroi recaptured populated systems that had been previously lost to the Umiak, the worst of Loroi fears over the fates of those who had fallen under Umiak occupation were confirmed. For years, fierce and effective Loroi resistance had prevented the Umiak from making much use of the captured worlds; Teidar and Mizol could be devastating guerrilla fighters, and were nearly impossible to identify among the civilian Loroi population. After a few years of unsuccessful occupation, the Umiak concluded that pacification of the Loroi was impossible, and simply began extermination of the captive Loroi populations. Of the estimated 50 million civilian Loroi that had been trapped on Seren when it was lost to the Umiak six years earlier, fewer than 600,000 still remained alive on the planet when it was recaptured in 2145. The story was the same on every recaptured Loroi colony. "